WASHINGTON, United States (AFP) – US aviation security officials stepped back Tuesday from imposing a ban on carry-on computers on flights coming from Europe, which had been proposed to guard against possible bomb-laden electronics from the Islamic State group. But the Department of Homeland Security said a ban, already in place for US-bound flights from the Middle East, could still be implemented for Europe if the threat level worsens. In a phone discussion with European Home Affairs Commissioner Dimitris Avramopoulos and Transport Commissioner Violeta Bulc Tuesday, DHS Secretary John Kelly “made it clear” a ban on passengers carrying tablet and computer-sized electronics on board flights to the United States “is still on the table,” DHS said in a statement. 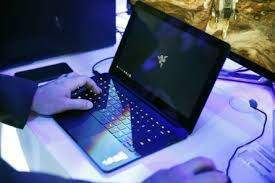 On March 21 Washington announced a ban on carry-on laptops and other electronics larger than a cell phone on direct flights to the United States from 10 airports in Turkey, the Middle East and North Africa. The move came after intelligence officials learned of efforts by the Islamic State group to fashion a bomb into consumer electronics. From any of those airports, US-bound passengers were forced to keep their electronics in checked baggage. One day later Britain announced a similar ban for flights originating from six countries, and by early May DHS was threatening to impose a similar restriction for flights from Europe to the United States. That would have a huge effect on the coming high travel season, with more than 3,250 flights a week scheduled to leave EU airports for the US this summer. That is something else eh, just now everybody will have to stay in their own country man. Wow, look at the world we live in.